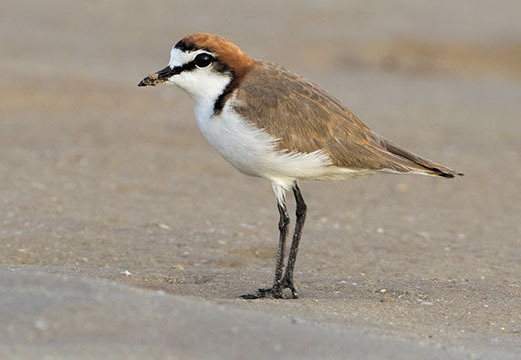 Australia has a number of small plovers, or dotterels. 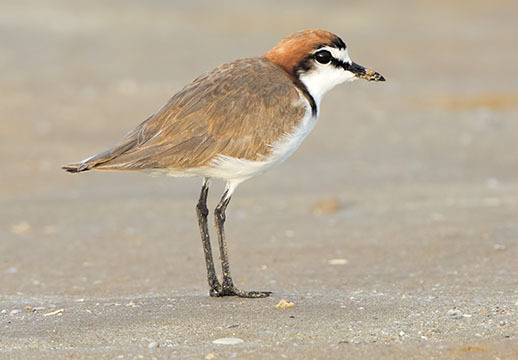 This one, the red-capped dotterel, is common and widely distributed on beaches and mudflats. These were patrolling the edges of a huge tidal mudflat off Buffalo Creek, near Darwin in the Northern Territory; others were at the Cairns Esplanade in Queensland and near Albany in Western Australia. They were rather shy and difficult to photograph; a long lens helped but most of these images are strongly cropped.